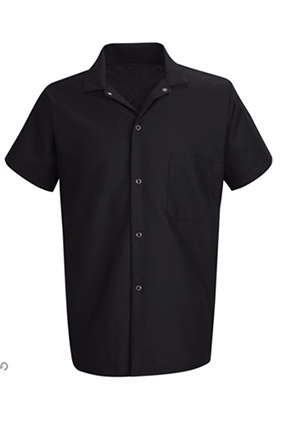 65% polyester/35% cotton 4.75 ounce poplin cook shirt with gripper closures. Squared bottom to tuck in or wear out. Left chest pocket.